QUEENSRŸCHE Parts Ways With Geoff Tate; CRIMSON GLORY/RISING WEST Singer Todd La Torre Hired! According to Billboard.com, QUEENSRŸCHE has officially parted ways with vocalist Geoff Tate, and have replaced him by CRIMSON GLORY/RISING WEST singer Todd La Torre. 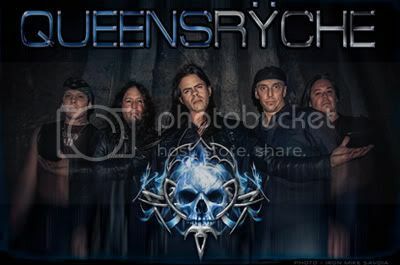 "Over the past few months, there have been growing creative differences within Queensryche. We want our fans to know that we hoped to find a common resolution, but in the end parting ways with Geoff was the best way for everyone to move forward in a positive direction," drummer Scott Rockenfield said in a statement. "We wish him the best of luck with all of his future endeavors. We can't wait to bring Queensryche to our fans with Todd behind the microphone." The statement also said that scheduled Queensrÿche performances "are on hold at [the] present time and revised routing is being worked on. Fans can check the band's website for all of the latest tour information as it [becomes] available." With the recent formation of Rising West - the new band featuring Queensrÿche members Michael Wilton (guitar), Eddie Jackson (bass), Scott Rockenfield (drums) and Parker Lundgren (guitar) along with CRIMSON GLORY singer vocalist Todd La Torre - fans speculated about the status of Queensrÿche. 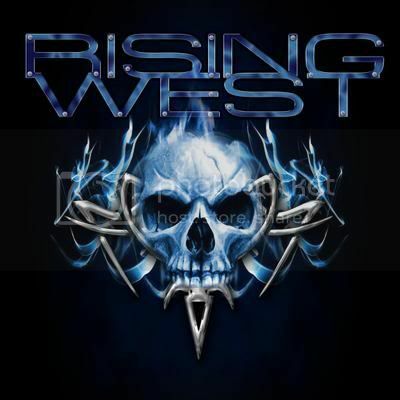 Rising West made their live debut at Hard Rock Café in Seattle, WA earlier this month and performed rarely classic hits from the first five Queensrÿche albums and they were planning on hitting the studio sometime early summer to begin recording their debut release. "I'm super excited to be involved in Rising West," La Torre told BraveWords.com recently. "We're going to be covering the first EP all the way up to Empire with a high energy show for the fans. I met Michael Wilton at NAMM earlier this and we hit it off. No one else has performed these songs with the the band so it's a huge honour for me. This is a personal thing for me. Queensrÿche has been my favourite band since I was 15." But La Torre is quick to stress that it's business as usual in Crimson Glory. "Nothing has diminished. I'm still writing new material and we're rehearsing." When asked about Tate's vocals being big shoes to fill he adds: "A lot of guys can sing the notes, but it's about the tone, texture. I will deliver to the best of my ability. I was asked by Queensrÿche to sing the standard tuning so it's very challenging. Geoff Tate is one of the best and created a style of singing … him and Bruce Dickinson (IRON MAIDEN). I'm capable of performing these classic songs like the record. But I'm human; it's live and there's no second takes." Check out Todd La Torre singing some Queensrÿche classics below - original tracks using a karaoke filter in an effort to remove original vocals.